The best relationships have a strong friendship as the foundation! The couple feels completely comfortable with each other, are able to laugh and cry together, share secrets and opinions, and trust each other. Two completely connected people who know each other so very well. 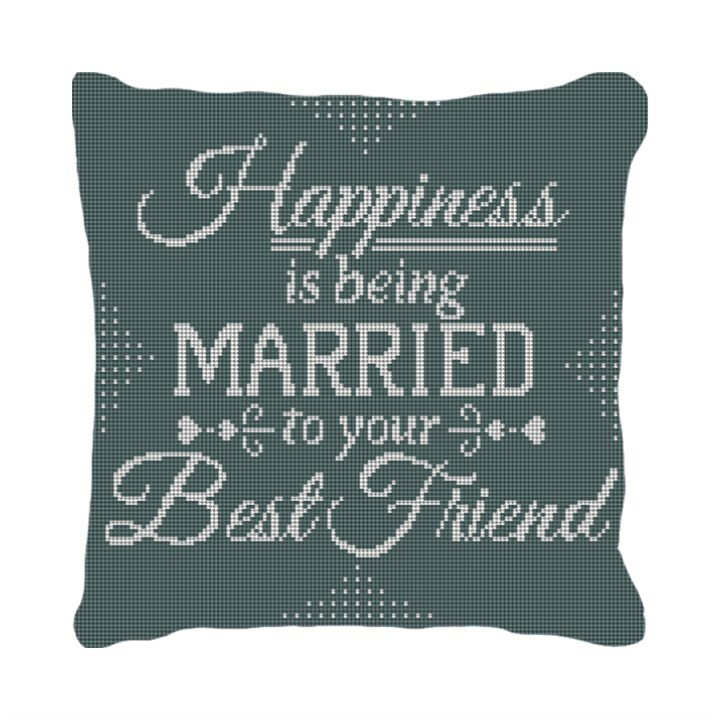 Give the gift of our Happiness needlepoint pillow for the newly married couple or for a special anniversary. A heartfelt gift that will remind the happy couple, why they got together in the first place.